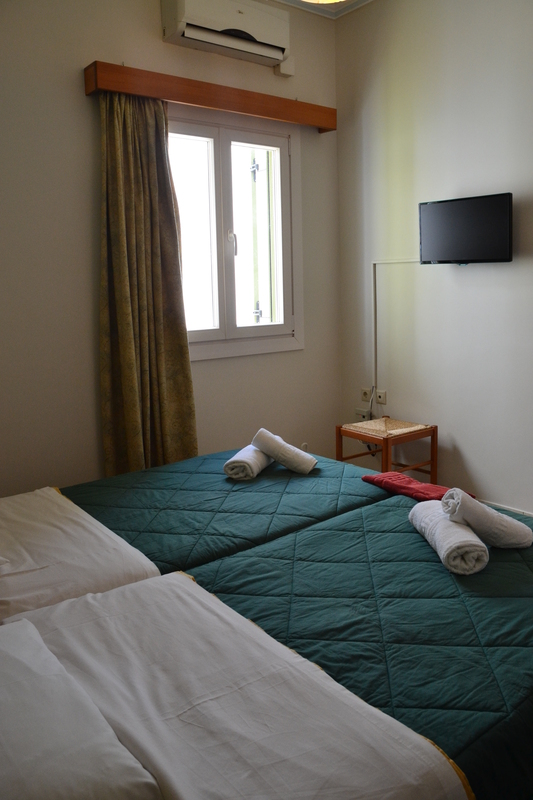 Rooms are serviced on a daily basis by our maid service! 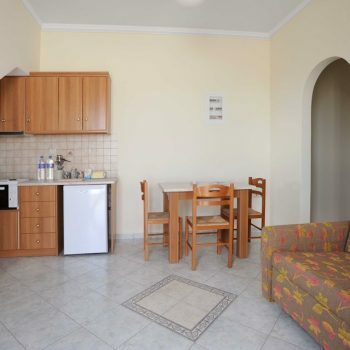 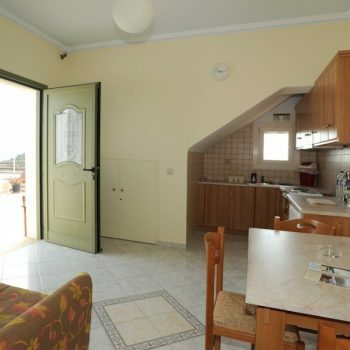 A one bedroom (double/King Size bed) elevated apartment 40 m² with an independent entrance. 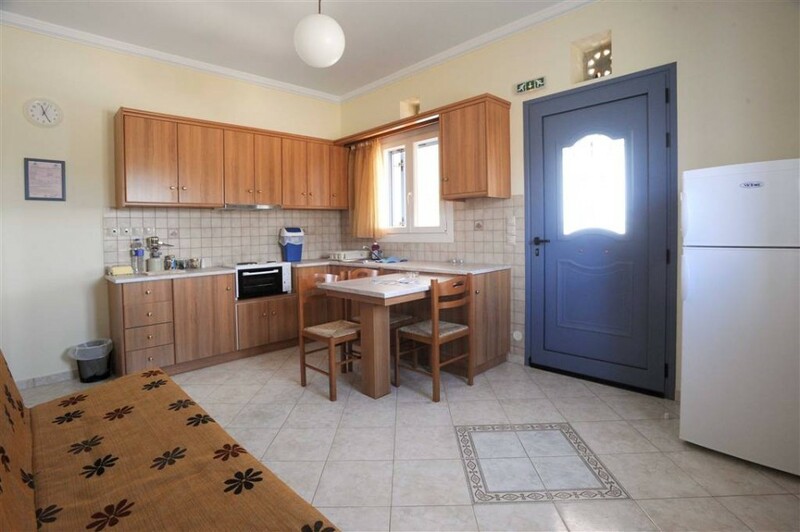 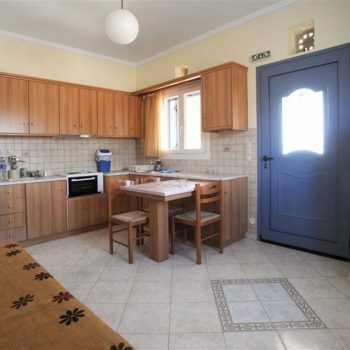 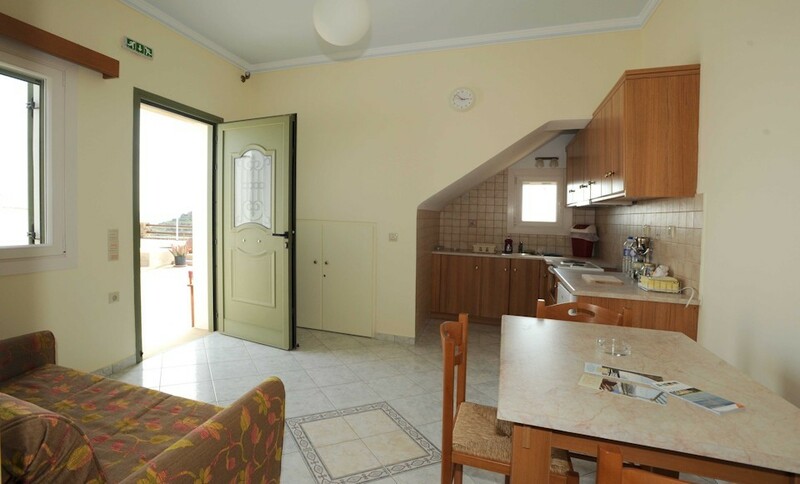 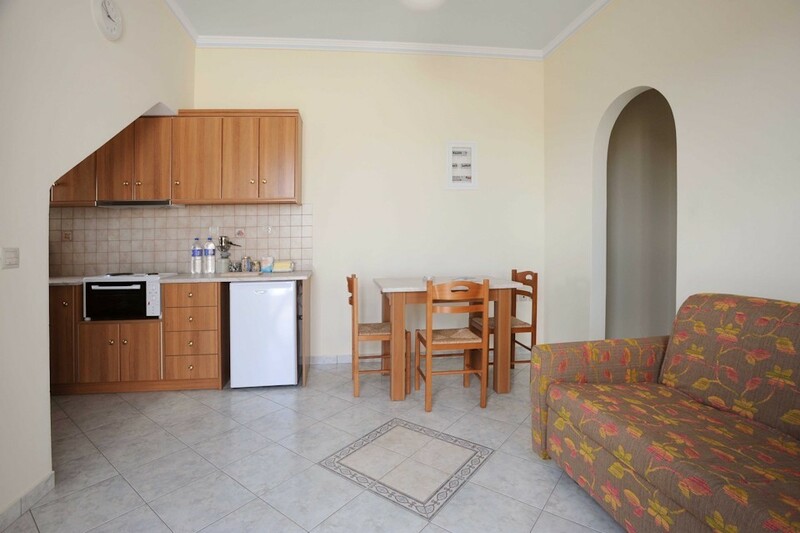 The kitchen is fully equipped with various appliances and amenities (coffee-maker, tea, coffee, bottled water etc. 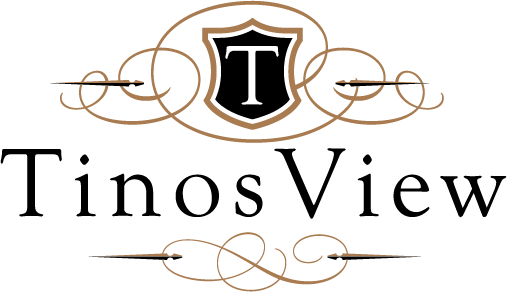 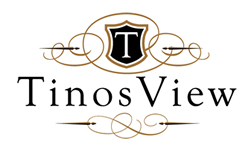 ), catering to all our customers needs. 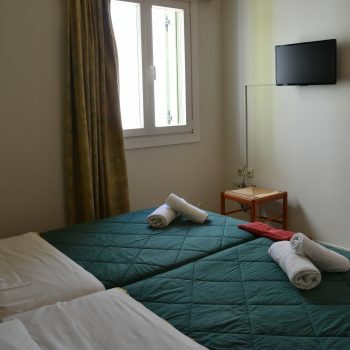 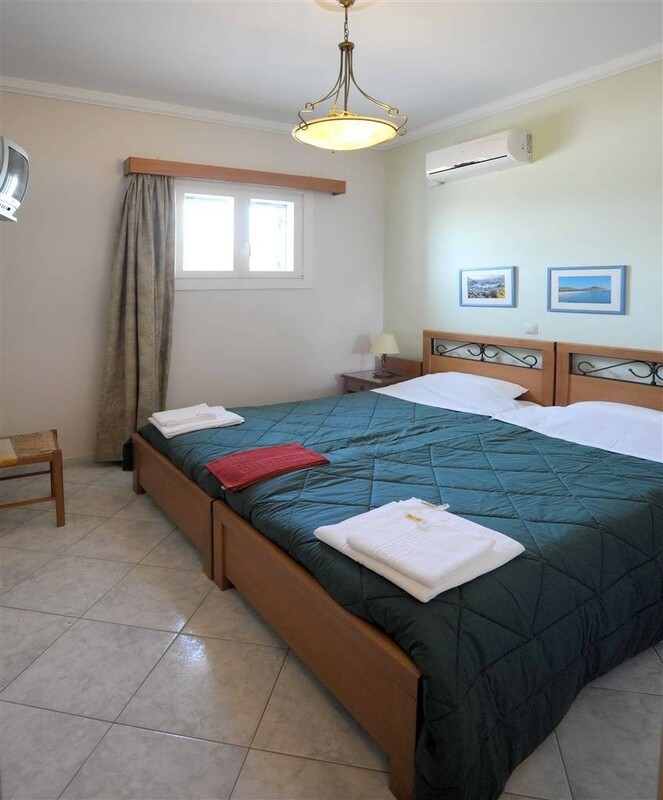 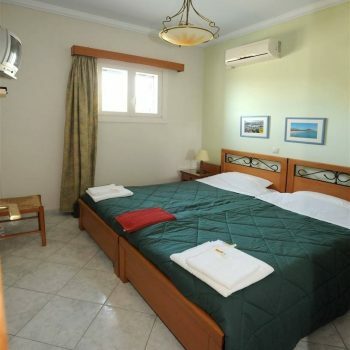 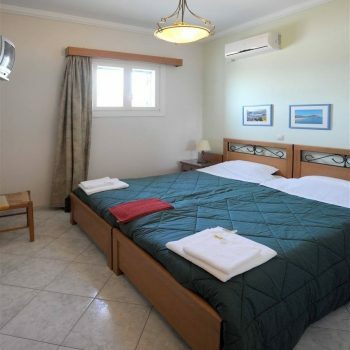 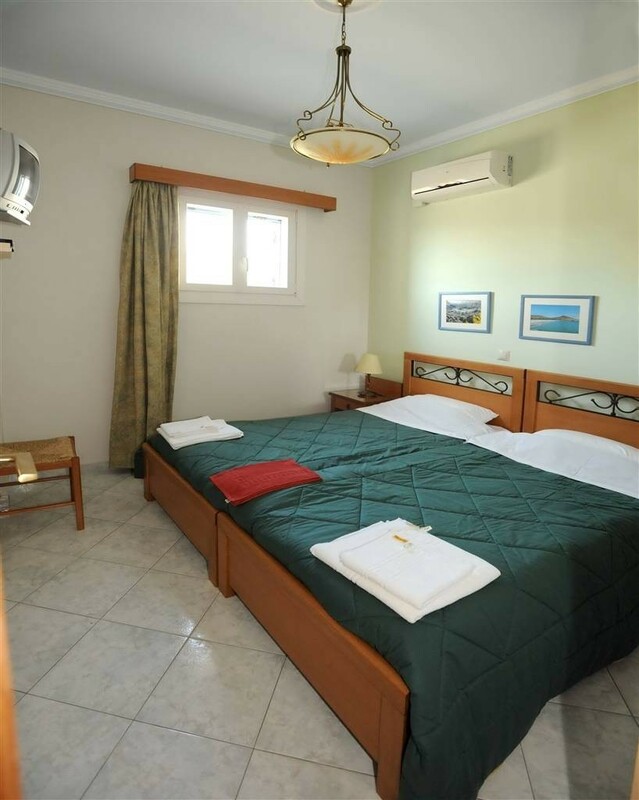 There is free Wi-Fi on site, LCD TV is available in the bedroom as well as a DVD player. 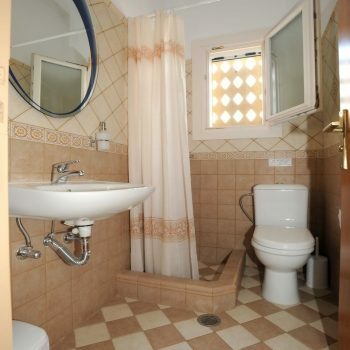 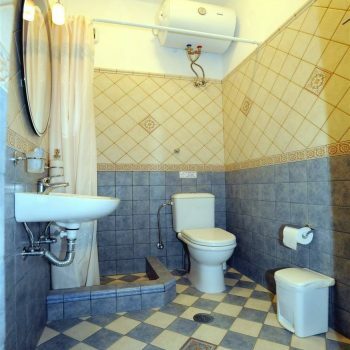 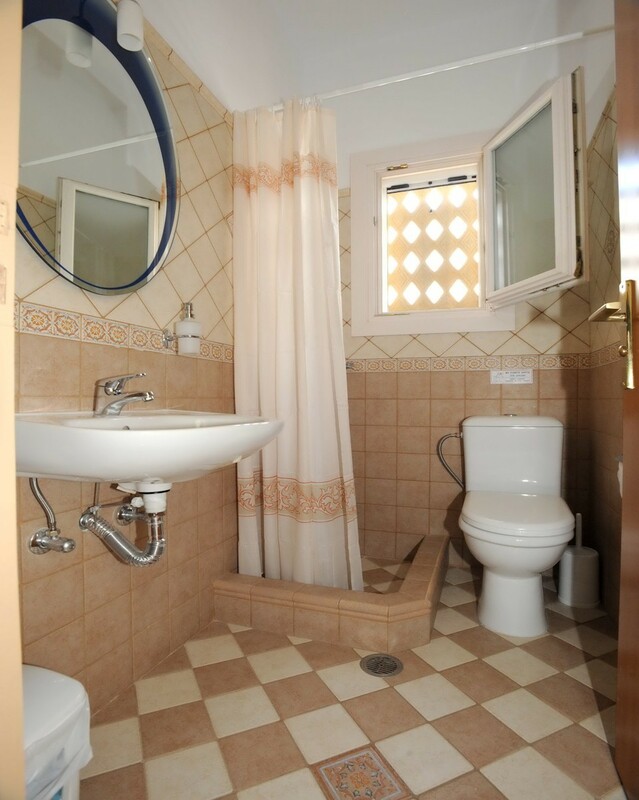 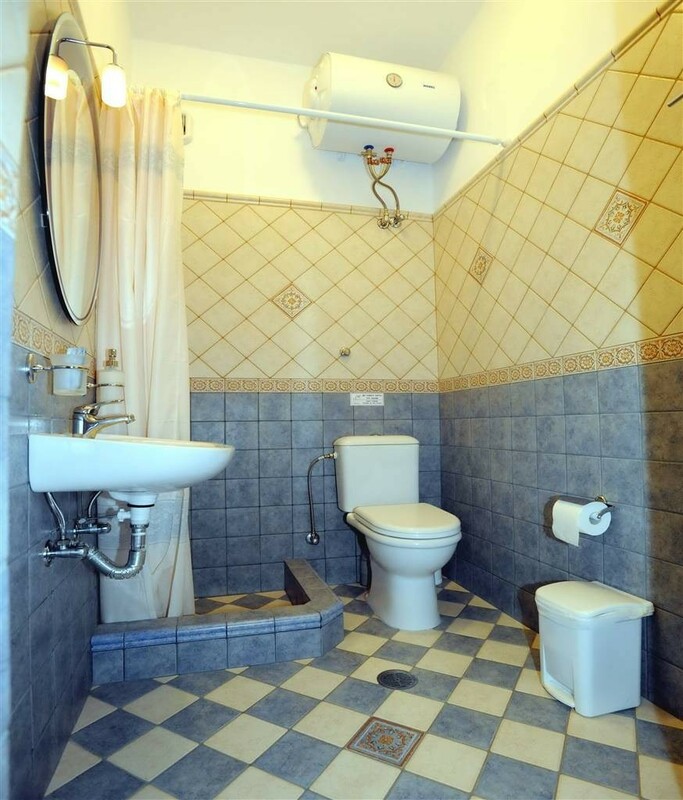 There is also an en-suite bathroom with a shower. 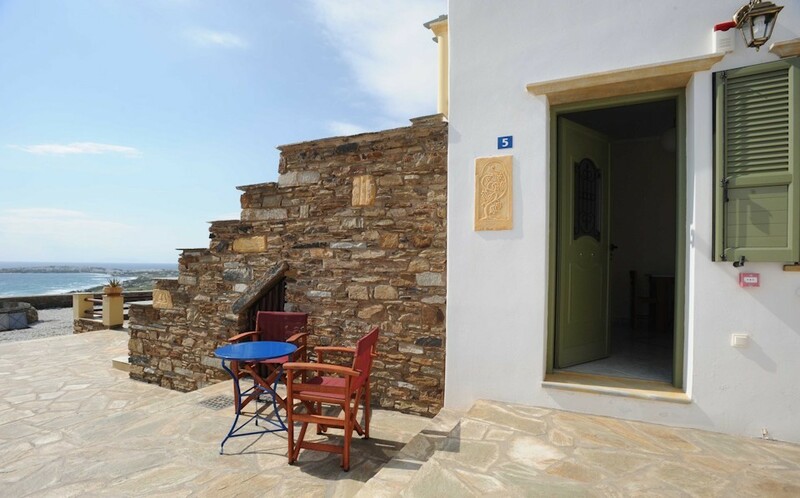 The apartment’s veranda is decorated with various sculptures and geometric patterns and the two arches on the balcony are decorated with wooden bows and arrows. 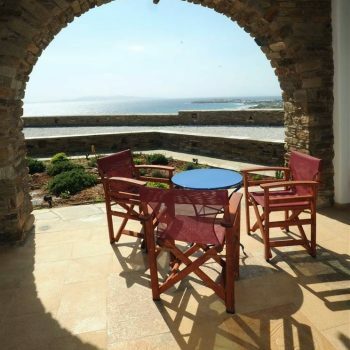 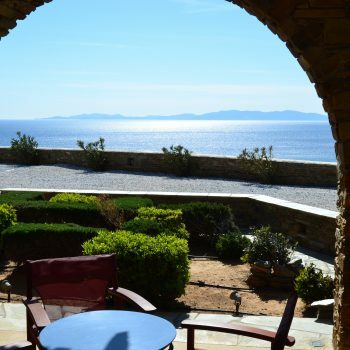 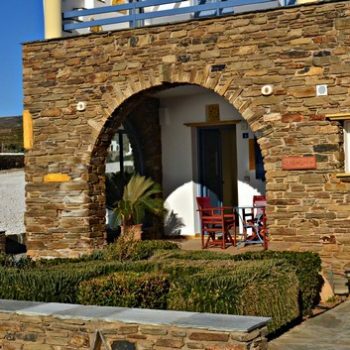 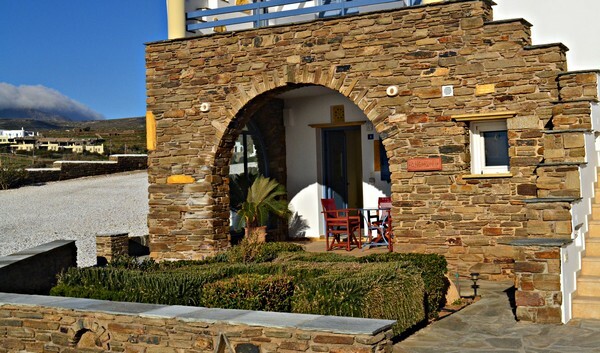 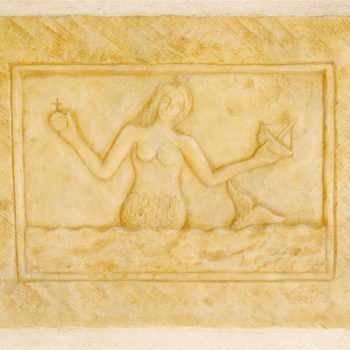 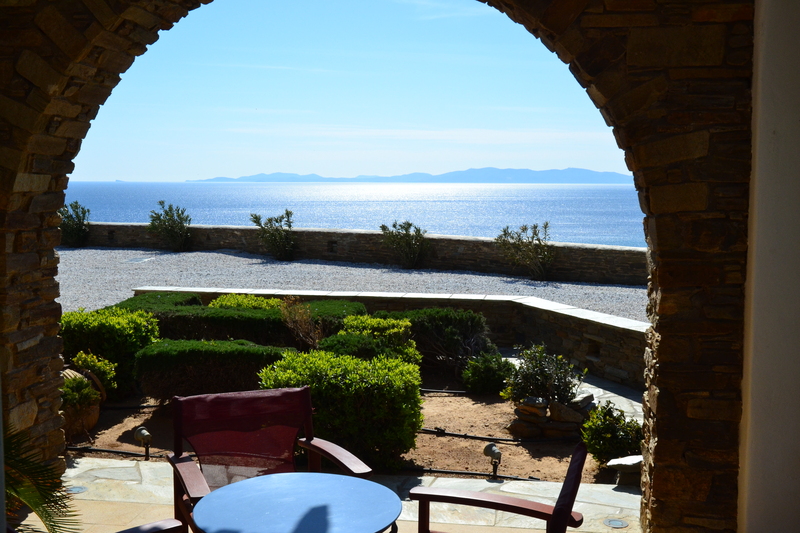 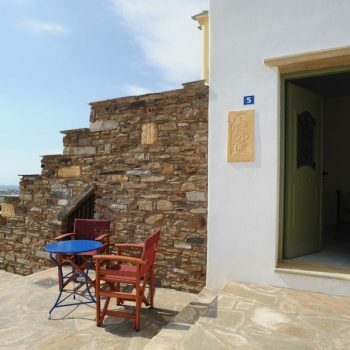 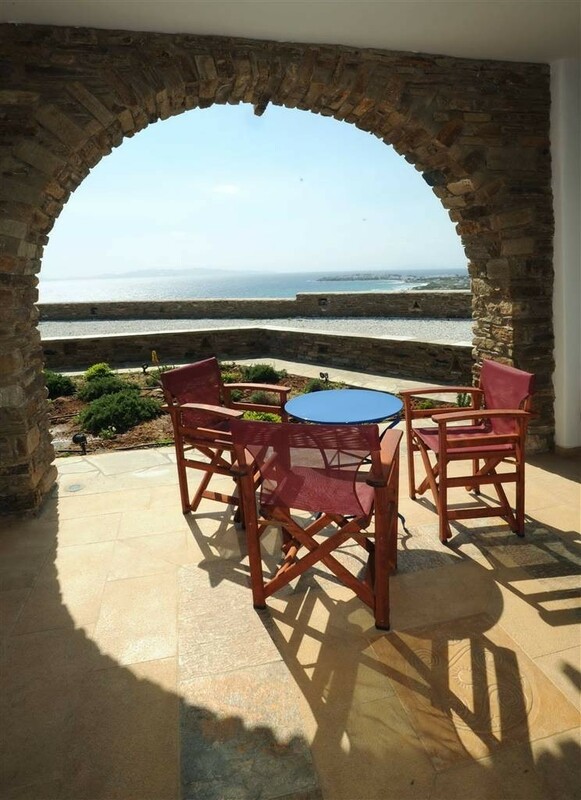 The view is panoramic and majestic, as one gets the opportunity to enjoy the endless blue of the Aegean Sea, the nearby islands such as Diles and Syros, the port, the mainland of Tinos as well as the Church of the Virgin Mary.